A series like this is a rare glimpse into the various iterations in design and process that Kenner went through back in the mid-1980's. The pieces shown here were accumulated over a period of several years from different sources. 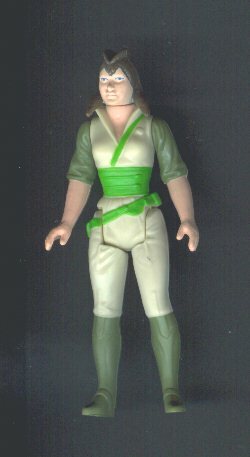 Each piece has it's own part in the creation of the Kea Moll action figure. 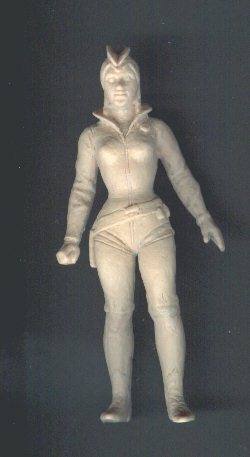 This first figure is a very early conceptual piece and it hardly looks like a standard action figure at all. 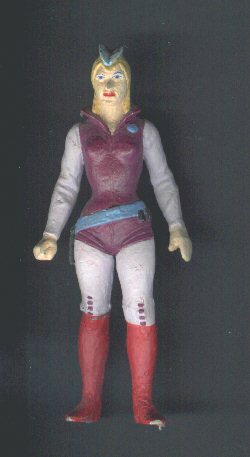 This small statuette is really a painted wax sculpting and was probably used just to get an idea of what Kenner was looking to accomplish with the character. Many of the features evolved into the final figure, but some features were changed or abandoned. The paint scheme is one thing that was radically changed. I have no idea if this design and it's coloring was the result of Lucasfilm approval or if it was just Kenner throwing ideas around. This second figure is the wax sculpture for what appears to be the second iteration in design. This very rough conceptual sculpting gave more curvy proportions to the character and began to further accent her distinct hair. This third figure is a painted hardcopy of the sculpting shown above. The paint scheme is very similar to the original concept. This one is also a non-articulated statuette. These pieces are paint swatches or paint chips that accompany some of the painted hardcopy figures. They are simply small plastic pieces that are painted on one side with the appropriate color. Each is roughly the size of two postage stamps. These swatches were sent to the vendors for production so that they could more easily match the colors of the accompanying hardcopy. 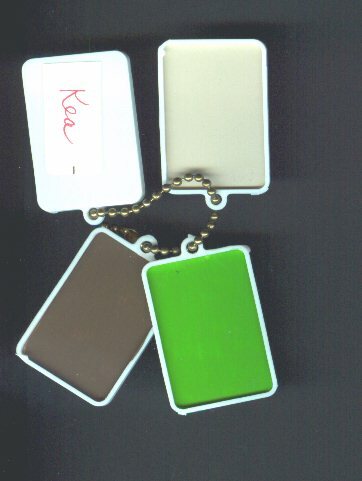 The name of the figure is written on the back of each sample. Unfortunately, some are missing. Once the tooling is created, injection molded figures can then be produced. Here is a first shot molded in some pretty wild colors. 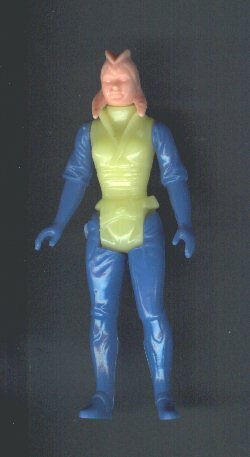 This figure has no dates on it's legs or holes in it's feet, but otherwise is like a normal action figure. Here is another first shot that lacks dates and footholes as well. While it's head is unpainted, the body coloring and paint are very similar to the finished product. The light green paint shown here was changed to a slightly darker shade. At this point the figure is almost ready to go. And the final result of all this work is the production action figure you see above. After the final approval stages the copyright dates, which generally show up on the legs, are added into the molds. And in this case, the footholes as well. 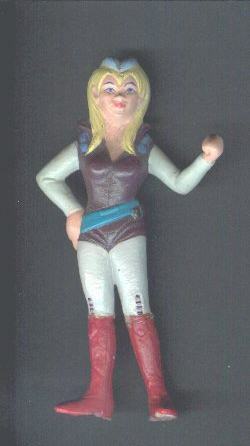 This is what the figure looked like when it was sold at retail outlets. 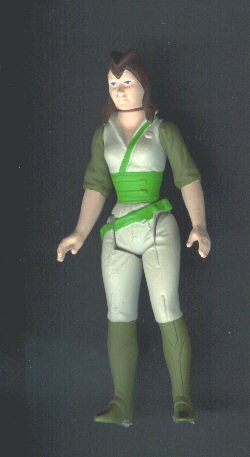 Check out The Birth of Kea Moll on our blog for a more in-depth look at the creation of this action figure, including many of the stages missing here.